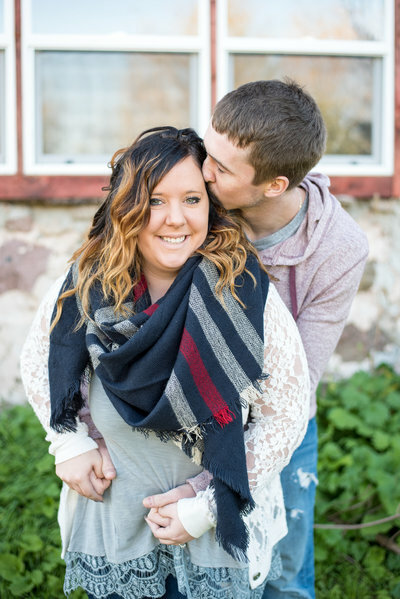 So Brady + Tera have been together for a long time and they live in the cutest little place out in the country that connects with land of relatives of Brady’s family, how cool?! So doing their engagement session here was a no brainer for them and me! 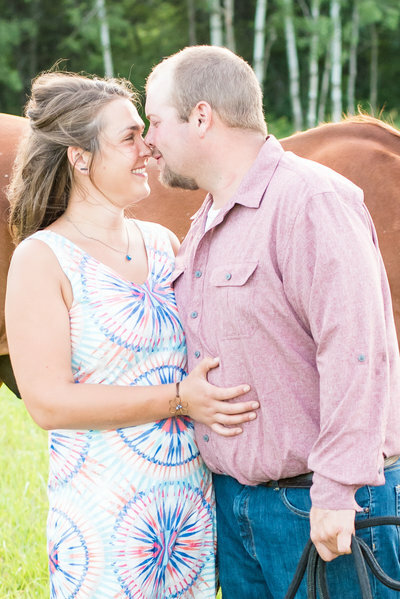 It was literally one of the hottest days of the summer, but Brady + Tera ROCKED it and I’m totally in love with all of the pictures and how awesome they turned out!! This session was amazing and an absolute favorite to date. Just wait until you see the genuine happiness these two share when they are together. Not to mention the stunning sunset, the perfectly placed wildflowers, and the HORSES! Yes, I said horses. All of this awesomeness in one shoot, you guys will love it. And I can’t WAIT for the wedding!!! The dogs were NOT havin’ it but nonetheless, still a picture for Brady + Tera to cherish forever. The barn that Brady + Tera are getting married in, SO excited for this wedding!! Per Brady’s request, we recreated the American Gothic photo, how fun!! THANK YOU Theresa!! SO glad you love them! « Instagram | Why you should NOT turn on post notifications!